This narrator's voice is too strong for this material. Subject is soft and flowing, narrator is not. Content was great but the narrators tone and pace didn't work for me. 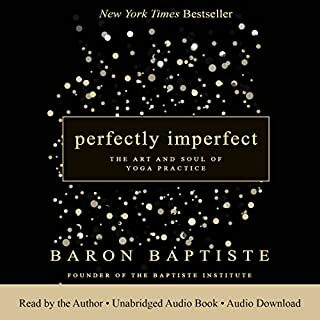 I had to rewind at several places to connect to what was read and this is the type of book you must connect with in order to benefit from the intent of the authors. What did you love best about The Seven Spiritual Laws of Yoga? No but I did want to enjoy it while driving to and from work. I started it several times and finally just gave up, because the narration was irritatingly fast and harsh. It felt like when you someone starts talking to you and they are talking and talking so fast you can't get a thought in never mind a word. I hope they redo this book with a different narrator. I wanted this but....the narration is too fast. Stressful listening, can't absorb. Returned. Bummer. 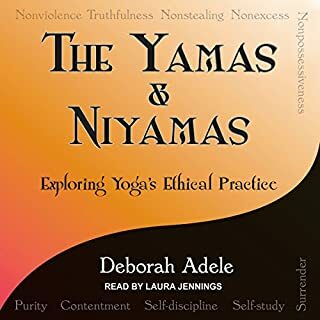 This book provided me with an amazing guide for me to start my yoga practice. this good gave some good information but was a very dry listen. it was hard to pay attention to what was being explained. I’m on my third cycle of listening to this audiobook back-to-back. I even ordered a printed copy so I can follow along and take notes. The information provided within this book is practical, approachable and exactly what I was seeking. The performer has a gentle deep voice that is the prefect balance of soothing and strong, and won’t put you to sleep. 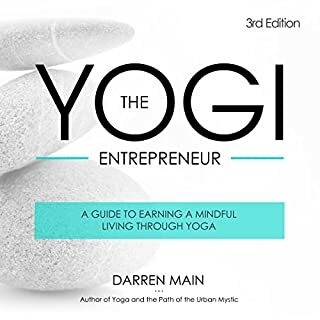 The world can use more yogis, I hope this review inspires you to read & practice. Namaste. Very bad choice of narration! Ruined the whole book. The narrator sounds like he is reading a History or a Political book! Not sure who hired this narrator but their job should be up for review!! Seriously! when i have conflict in my thoughts or with the world around me this is my GO TO BOOK! very insightful. loved it. Very good narrator. l loved listing to this book. I found it very informative, and would listen to it again. In a very rushed world that we live in it is good just to take time and listen to the basics of for love and tranquility. I found this a really inspiring and informative listen. There were no elements left out and it offers so much information to expand on current yoga knowledge. 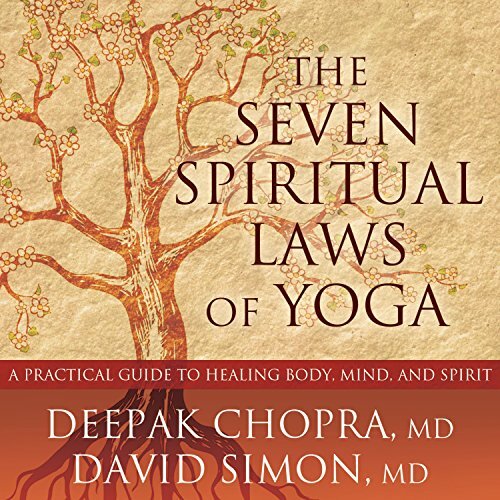 Deepak highlighted the best of yoga in real quick. all the basic rituals are narrated nicely. would have been awesome if it was done slightly slowly. be practise that just clicked and made sense. 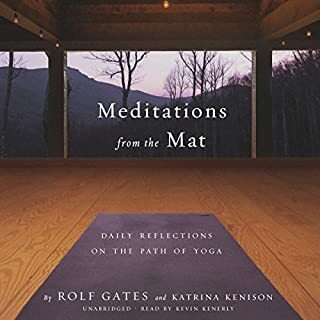 I look forward to revisiting the book once I’m more confident with yoga and assimilating more of the knowledge put forward in this book. Highly reccomend. Very informative overall. Your yoga journey will never be complete.... This has some very good things to add to your practice. Meditation, poses and breathing exercises.. 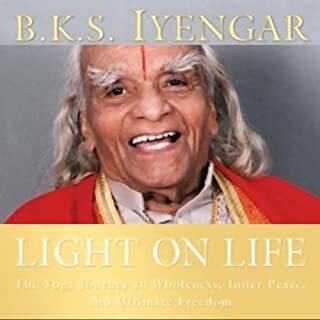 This material is lacking without access to a pdf containing the yoga poses, mantras etc It is a time consuming task to take notes so that you can remember the words of the mantras etc. This would be great purchased in hard cooy!